Art and creativity. What’s common between these two words is how subjective they are in our world. What’s art for one may appear to be trash for another. What’s creative for one may appear bland for another. Yet, these two elements are as ubiquitous as the air around us. For centuries, people have tried to approach these topics from scientific and rational perspectives- it goes way back to Plato and Aristotle who created “aesthetics”, the branch of philosophy that seeks to understand the nature of art. We don’t know how much closer we are to understanding these tricky subjects in their entirety, but we’ve definitely made some progress. Let’s take a closer look at this. Some people would say that creativity’s coming up with something completely new. A quick Google search would provide you with the definition that creativity is the use of imagination or original ideas to create something. Psychologists, however, have observed and classified creativity more precisely. i. Originality: The solution or idea needs to be something that’s fresh. It can’t be an extension of something that exists already. ii. Functionality: The solution has to be functional – it has to be useful. Art would be anything that’s an application of creativity. It may be Vincent van Gogh’s “Starry Night” for some, while some might think of the company “Tesla”. But both of them, in their own ways, are masterpieces that have made a huge difference in the world. i. Mini-c creativity: This is when a person gets ideas and solutions that are known only to them and that are useful only for them. ii. Little-c creativity: This is the sort of creativity that you might notice every day- it helps people fix the daily issues they come across. iii. Pro-C creativity: This is seen in experts and professionals who are skilled for specific jobs. These people are creative at the work they do, but their creativity doesn’t create ripples across the world. iv. Big-C creativity: This is the type of creativity that you would attribute to people like Albert Einstein or Salvador Dali. Their ideas and works have a massive impact on the world and often lead to fame. How to Improve Your Creativity? i. In-depth knowledge: it’s believed that one of the best ways to improve creativity is through gaining more knowledge about the field in which you strive to be creative. Knowing more about the field widens your perspective and can give you better ideas. ii. Non-specialized knowledge: Having some knowledge in other fields can help you mix and match ideas from one field to another. This is known to improve creativity as well. iii. Daydreaming: According to one psychology essay, daydreaming can enhance creativity by relaxing the mind and it should be encouraged in children. 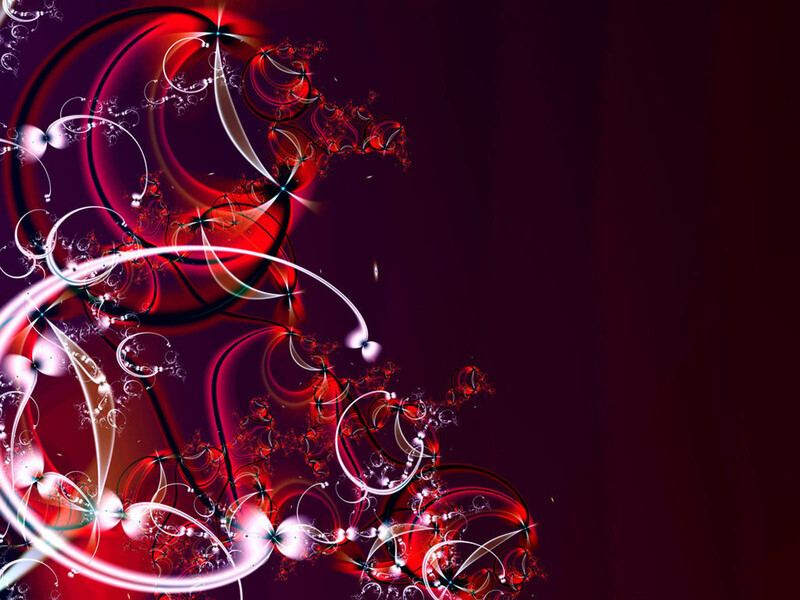 Fractal Art is a kind of algorithmic art made by calculating a complex mathematical sequence or equation, and representing these results as animation, still images, and media. This type of art includes some of the most exclusive and enchanting geometric shapes. Such images appear the same at varied scales – no matter how small or big they are. Another characteristic is that they present great intricacy driven by chastity.To make a fractal, you can simply begin with a normal pattern and repeat it at tinier scales, over and over again, forever. Created by Bill Beath, an Australian, who is specialized in depicting countryside, architecture, and nature. His artistic works combine modern digital modes with conventional film processes. His first fractal was basically a picture of Nautilus shell, which further led to the creation of fractals. Ever since then, he has been permanently engaged in this kind of art. Ebony and Ivory basically refer to the palette utilized based on classic tones of white and black. The image is based on the algorithm – Fibonacci Julia. It exhibits a captivating shape somewhere between an exquisite man made design and a natural design. Created by Paul Decelle, who is a mechanical engineer in the U.S, this fractal is an exclusive composition of based on the chunk of a Mandelbrot set. He has employed various techniques, known for over a decade that can still astonish the onlooker by its grandeur. The composition depends on two principles. The algorithm “Slope” designates the same color to those areas with the same height such as in a topographical map. The algorithm “Lighting” on the other hand, colors towards white those areas of the surface lit up by an imaginary sun dominating the horizon while partially the shadows abstruse the surface. As a result, you get a three dimensional outcome that endows the detail in the fractal. Created by Roger Johnston, this is an extension of the emphasized function system of fractals. He has employed captivating colors along with intricate details. Crafting this kind of art for several years, Roger stands as one of the most exquisite and remarkable creators in this field of artwork. Created by Jacob Ankney, this art has some enthralling fractal designs. He has adored nature through this beautiful piece of work by incorporating trees, flowers, and much more into his art style. And what’s more – the texture and colors are awe-inspiring and you can even purchase the prints. Creating 3D fractals for several years, Dr-Pen, an art hobbyist has created clean lines of Rainbow bands using vivid colors. This kind of art doesn’t really have to imply psychedelic and abstract. This unique piece was crafted by Hal Tenny, utilizing Mandebulb 3D, which an free application for crafting 3D fractals in detail with a wonderful assortment of picture effects. Programming and building computers since a very young age, James Alan Smith has utilized his standard graphic art package along with his own custom code to craft geometric and fractal artwork. Jorge Abalo has been creating works of art for several years, and in the 1990’s, he began working in digital art, and created flame fractals along with 3D modelling, and comic illustrations before being introduced to – Mandelbulb 3D. His fractal work i extraordinary an surreal. Photography is the art of creating durable images through recording light. It can be done either by electronic means like image sensor or chemical means like light-sensitive material. Photography, the art of discovery, is one of the fast-growing industries. The photography allows people to relive the moments captured. Capturing the moments and feelings that might be forgotten and lost through the time is one of the great purposes and uses of the photography. The science of mind and behavior is called psychology, a diversely interesting and academic discipline that tries to understand individuals and their feelings and thoughts. Psychology has a broad scope as it investigates many phenomena that include learning, perception, memory, intelligence, emotion, thinking, behavior, personality, mental illness, child development, and many others. Art has always had a connection to the study of psychology and emotions. Art is an aesthetical therapy for many people. Art and aesthetics being a human phenomenon is a psychological process. Bringing out the emotions from an artwork, painting your thoughts on canvas, capturing the memorable moments and feelings in a photograph are some of the ways in which an artist or the subject of the art tries to communicate. Photo psychology or Photopsychology is the study of the relationship between photography and psychology. Photographs provoke an emotional response from the viewer and make them identify the consistent style of a photographer. Sometimes the story, a photograph tells, makes people enchanted by it. Other times it could be just a portrait telling more than enough in facial expressions and the gaze of eyes. Photography can be defined as a visual means of communication and relationship between the viewer and photographer. Photography mostly is the means of capturing the moments and memories, so they can be remembered for the times when you look at them and it tells you the whole story of the time. A strong image always tells the story that the photographer intended to. This communication and connection is the base of photo-therapy. As the saying is that eyes are the windows to the soul and a picture is worth a thousand words, a picture tells a million things through the eyes of the subject. The experience of photography teaches us to focus on our lives and things around us more elaborately so that we can understand the nature of the things. Two photographers can capture the same thing or same scene of an event, but still, tell a different perspective of the story. The story an image tells and how the viewer interprets it, depends on many factors like visual elements, subject/s, their relationship with each other, depth and complexity of the implied relationship as well as physical proximity of the objects. If the photographer is in control of the relationship or implied relationship in between these factors and objects, the composition can grab the attention of the viewer with a story. Different principles of photography can be used to tell the story in different ways. These principles include similarity and repetition of objects in the photograph, continuation of elements, proximity, closure, and the law of Pragnanz. The key to great pictures and photographs is understanding the psychology. How a subject presents himself/herself and what angle is used to capture are two of many things that if used properly and differently can change the body language and feelings of the visual picture. Vulnerability, power, professionalism, and many other traits can be captured by using the understanding of the psychology of human nature.